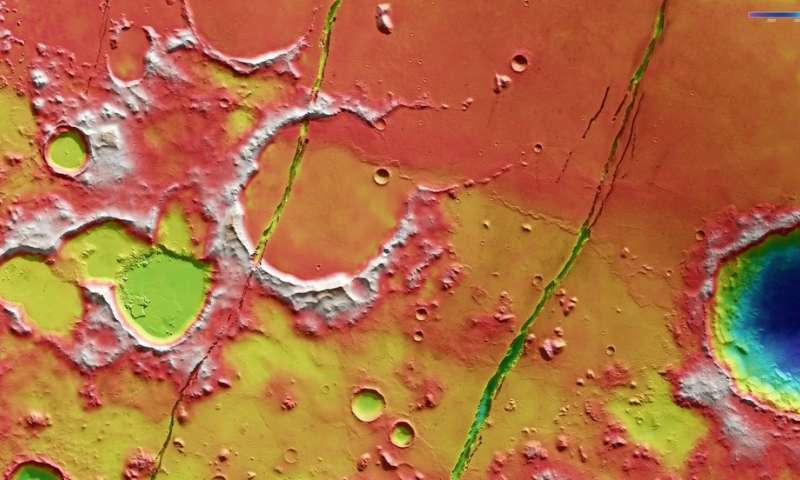 These prominent trenches were formed by faults that pulled the planet's surface apart less than 10 million years ago. 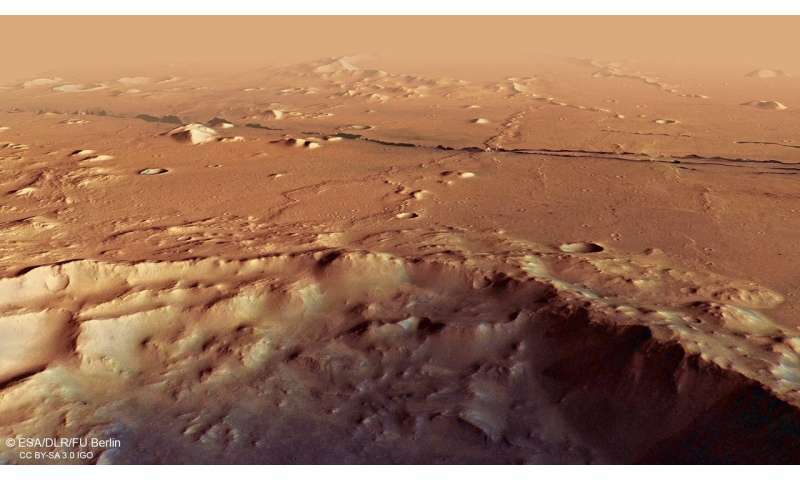 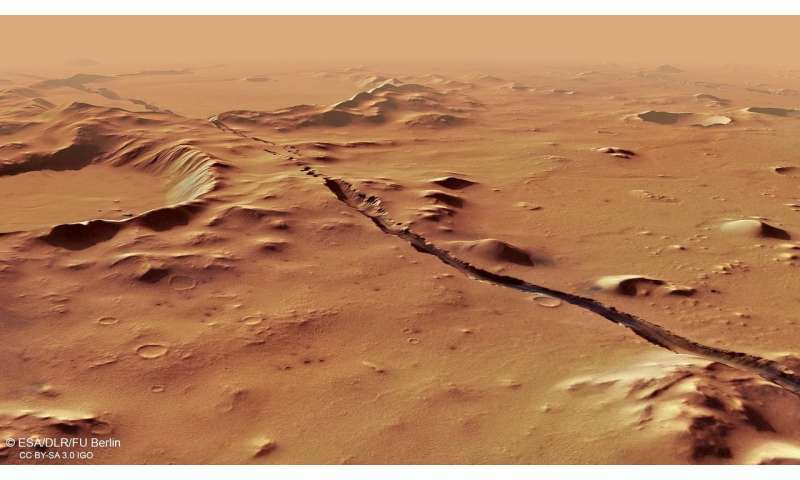 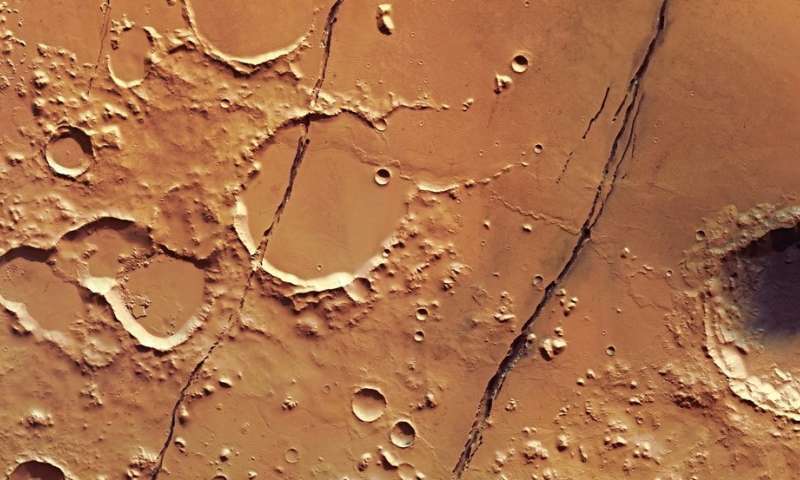 The images were taken by ESA's Mars Express on 27 January, and capture part of the Cerberus Fossae system in the Elysium Planitia region near the martian equator. 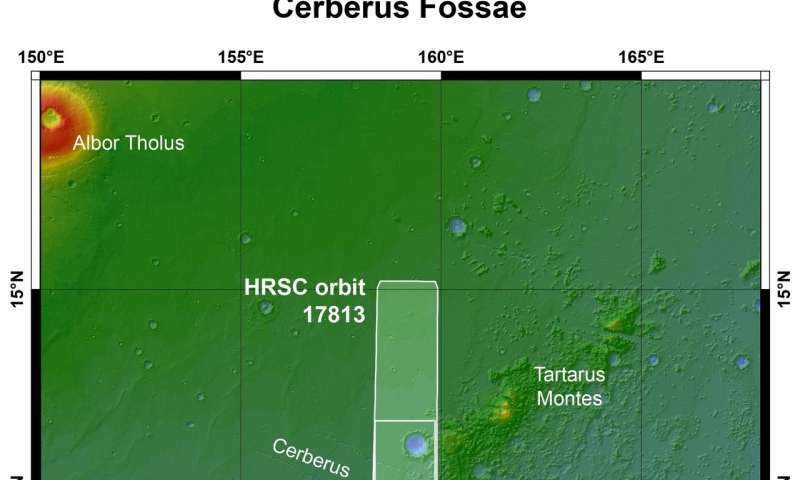 The fossae – meaning 'ditches' or 'trenches' in Latin – stretch for more than 1000 kilometres from the northwest to the southeast.